Hello everyone! You might be wondering why I have a nursing related post here when I already have My Nurse's Notes for my nursing topics. 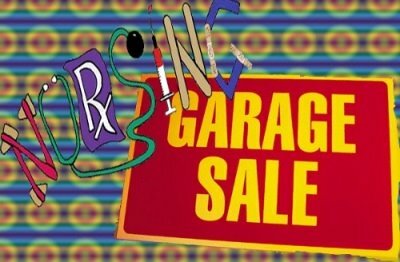 Well I just wanted to spread the good news about my Nursing Garage Sale! There's nothing special about my garage sale, well except that the majority of the stuff I'm selling are nursing books for such a reasonable price! Why don't you check my Nursing Garage Sale for yourself!